For decades, Palestinian leaders have engaged in a rigged peace process, seeking to force the international community’s blueprint for a Palestinian state onto the population of the West Bank and Gaza. The United States, meanwhile, has sought to maintain the fiction that it is an honest broker and neutral mediator. 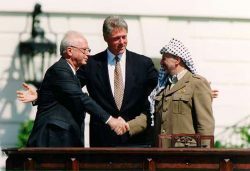 Twenty-five years ago this month, the signing of the Oslo Accords ushered in a new paradigm in Israeli-Palestinian relations, with negotiations at the forefront. Over the course of several years, Israeli and Palestinian negotiators held countless meetings replete with handshakes and photo-ops. PACBI, the Palestinian Campaign for the Academic and Cultural Boycott of Israel, said that Shakira’s decision dashes Israel’s hopes “to use her name to art-wash its latest massacre in Gaza.”“Artists, especially UN goodwill ambassadors, have a moral duty not to be complicit in covering up human rights violations and apartheid,” PACBI added. 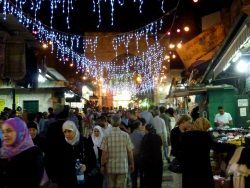 Jerusalemite activists have launched a hashtag on Twitter – #we are not hungry – as a rejection of Ramadan meals provided by the UAE for visitors to Al-Aqsa Mosque. They argue that the Gulf State is consorting with the Israeli occupation of Palestine, having sent a team to cyclists to participate in the international Giro d’Italia cycle race which passed through occupied Jerusalem on the 70th anniversary of the Nakba. Israel has turned Gaza’s sea into a battlefield.Israel’s military routinely fires on boats, injuring, killing and arresting Palestinian crew members.“In the past, the sea used to be open. 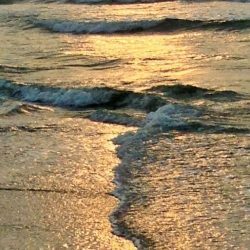 We would fish whatever we wanted, whenever we wanted,” Rashad al-Hissi, a 74-year-old Gaza fisher, told The Electronic Intifada. According to the 1993 Oslo accords, Gaza’s fishing zone was supposed to extend 20 nautical miles out from shore. Years have passed and the prison bars still won’t let us live our lives. You stand here alone: fighting death with hope, watching everything grow older while you are still fighting for your own existence. You live your life facing one battle after another, trying to defend your name and save your dreams. The United Nations Relief and Works Agency — better known as UNRWA — was created after 750,000 Palestinians fled their homes during the 1948 Arab-Israeli conflict. 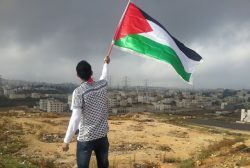 Refugees in the Gaza Strip will mark the 70th anniversary of that exodus on May 15, the culmination of the symbolic ‘Great Return March’ that has brought thousands of protesters to the territory’s border with Israel this month, where they have consistently met excessive, lethal force from the Israeli army. Early this April, one of Hollywood’s biggest actresses, Natalie Portman, ignited a firestorm when she announced that she would not be attending a major awards ceremony in Israel, in protest of its violence in Gaza. In response, the Genesis Prize Foundation, which oversees what has been described as the Jewish Nobel Prize, canceled its prize ceremony in Israel.